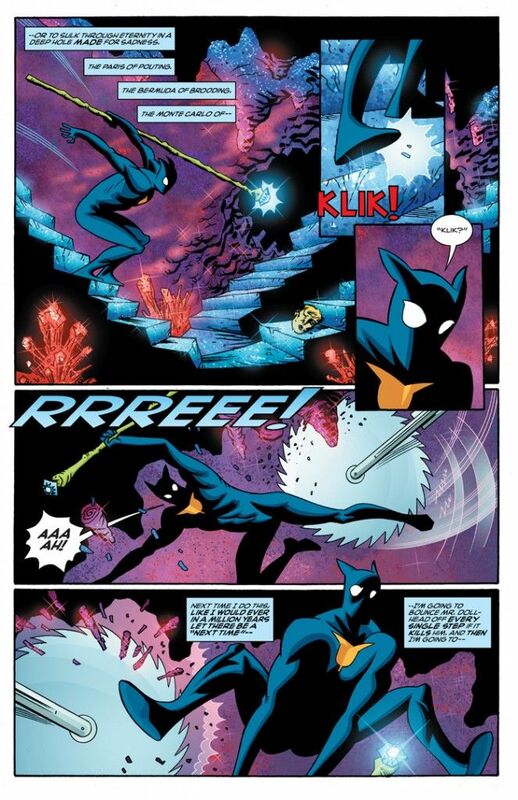 "The Fox is all-out super-hero action with all the joy and energy and thrills and spills that you want in a comic book. It's a shot of the good stuff, straight no chaser, with plenty of boldness and flash that will have you smiling but none of that annoying angst that will bring you down. I was just talking with my friend Mike, who often laments that there are too few comics on the stands that are truly joyful. He sounded excited when I mentioned The Fox and praised Dean Haspiel's wonderfully animated figure drawing, the charming way that Haspiel creates the odd creatures, and the smartly rendered layouts that he creates. Haspiel's art is a perfect fit for this book – bright, animated, energetic, and always well composed with the Fox at the center of the frame."